The six-bedroomed Villa Samira lends itself equally well to peaceful reflection or lavish entertaining. Its location in a secured luxury estate on the headland between Kamala and Patong beaches is well away from the hectic resort towns of Phuket, embracing holidaymakers in its tranquil tropical ambiance. Those seeking rest and respite can enjoy lazy days punctuated by refreshing dips in the villa’s 17-metre pool and jacuzzi, lounging on the sunny terrace, sipping cocktails at sunset and yielding to blissful massages in the spa room. music beyond the tropical birdcalls. Each of Samira’s six bedrooms are lavishly appointed with ensuite bathrooms, balconies and beds in five rooms that can be set up as kings or twins. The king-bedded master suite, luxuriating in total privacy on the top floor, has its own jacuzzi plunge pool plus a double bathtub on its spacious terrace. Samira guests are looked after by an experienced, English-speaking villa manager, housekeeping staff and full-time chef. All meals, charged at the cost of provisions plus a small surcharge, are prepared and served with panache, with a delicious range of Thai dishes and some international dishes to choose from. The same staff team look after guests at neighbouring Villa Saan, an eight-bedroom villa belonging to the same owner, that larger groups could consider booking together with Samira. 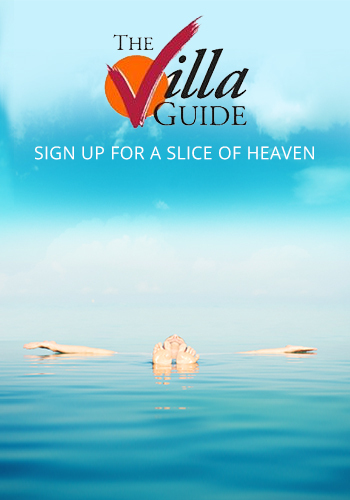 The villa manager will happily arrange transport and tours for those seeking to explore the island beyond the villa. The family-friendly Kamala Beach is 15 minutes away by car while Patong’s nightlife, shopping centres and beach can be reached in about 20 minutes.